King's Casino owner Leon Tsoukernik's counterclaim was dismissed on Tuesday. The legal drama surrounding last summer’s high-stakes heads-up battle between King’s Casino owner Leon Tsoukernik and poker pro “Aussie” Matt Kirk completed another episode on Tuesday. According to the Las Vegas Review Journal, a Las Vegas judge dismissed Tsoukernik’s counterclaims of defamation, fraud and civil conspiracy against Kirk and the Aria Resort & Casino. 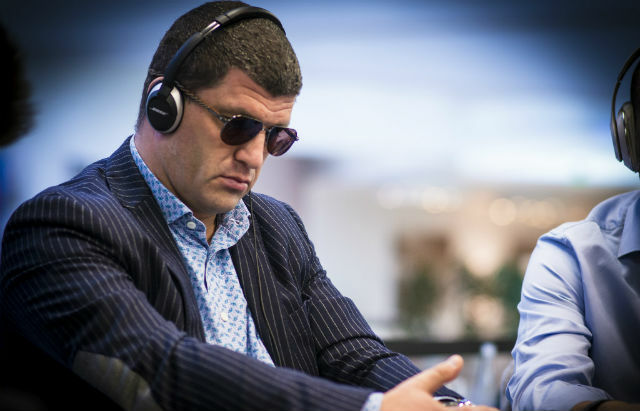 The back-and-forth courtroom battle between the Rozvadov casino owner and the high-stakes pro stems from an unpaid $2 million debt incurred by Tsoukernik after he allegedly borrowed millions from Kirk only to lose it all back to him in a late night heads-up poker game on May 27 at the Aria. As a counter-measure Tsourkernik sued Kirk, also naming the Aria Resort & Casino. In his claim, he argued that he overserved and was too impaired to play on the night of May 27. Additionally, Tsoukernik says that Kirk didn’t disclose where his money came from, inferring that he was backed. District Judge Linda Bell apparently found little merit to Tsourkernik’s arguments, tossing out the claims against both Kirk and the Aria. In addition to tossing the claim, Judge Bell also ordered that Tsoukernik’s team pay the legal fees for Kirk. While the rulings were a definitive loss for Tsoukernik, the judge did state that if Tsoukernik’s lawyers found a new argument, the door would be open for them. Lawyers for Kirk say that despite the previous ruling of the $2 million is an “unenforceable gambling debt”, they are still proceeding with attempting to obtain payment in full. The judge also dismissed the charges levied against the Aria, stating that those issues should be addressed by the Gaming Control Board. In the meantime, Tsoukernik’s King’s Casino will be hosting the World Series of Poker Circuit Spring Festival from March 1-19.